Shahid Kapoor : Kids have to ensure that everybody follows safety. HomeShahid KapoorShahid Kapoor : Kids have to ensure that everybody follows safety. 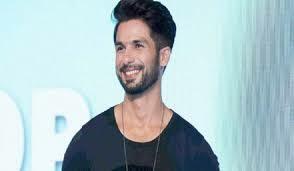 Shahid Kapoor said children have to make sure that everybody follows safety and road rules because they are the future of our country. Shahid witnessed a new Guinness World Record to create awareness about road safety measures which was initiated by ICICI Lombard General Insurance in Mumbai on Thursday. The record was created by 5,000 children from seven schools who assembled at a ground to form the shape of a helmet. ICICI Lombard General Insurance has been promoting the cause of Road Safety through its CSR initiative Ride To Safety since 2015. Shahid said the most important thing in life is health. He said These children are the future of our country and they are the next generation so, they have to make sure that everybody follows safety rules and road rules. It's very important because the most important thing in life is health. As long as you are healthy and safe, everything is fine so, this is amazing and I am really thankful to be a part of this amazing moment.